This is a copy of the book published by Nutech and reproduced here with permission, but without the excellent photographs that are published with the book. What is a Joe cell? Colloidal precipitate referred to in Chapter 2. The darker material on the left responds to a magnet, material on right does not. 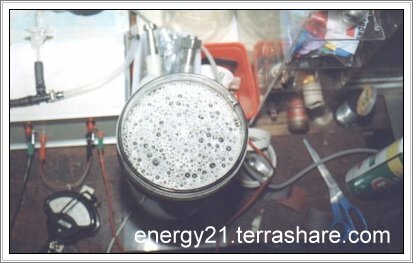 It is believed at present that this material does not come from either the stainless stell tube material or from dissolved salts in the water. 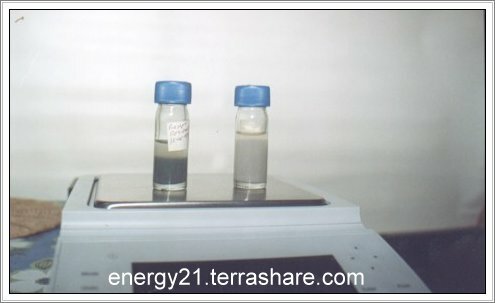 It was not possible to weigh the material properly without drying it, however the amount of solid in each jar is estimated to weigh less than 1gm. 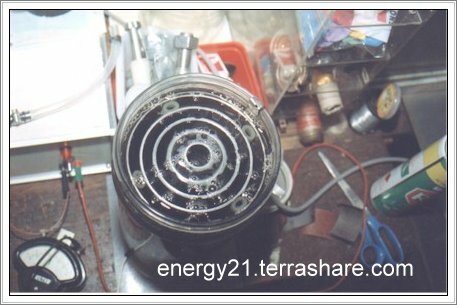 View of a 'test cell' used for charging water. Test cell showing bubbles developing during electrolysis at stage 2. Test cell showing bubbles developed during electrolysis at stage 3. 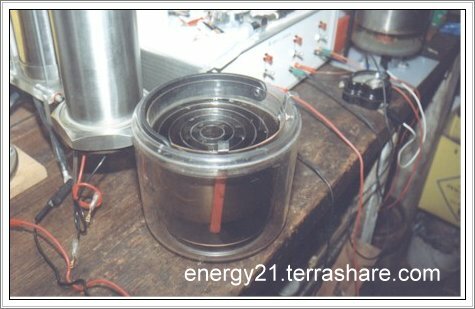 At this stage the cell is 'breeding', or attracting orgone energy into the water.